Roosebeck 40.5 Inch Greek Bouzouki Padded Gig Bag. 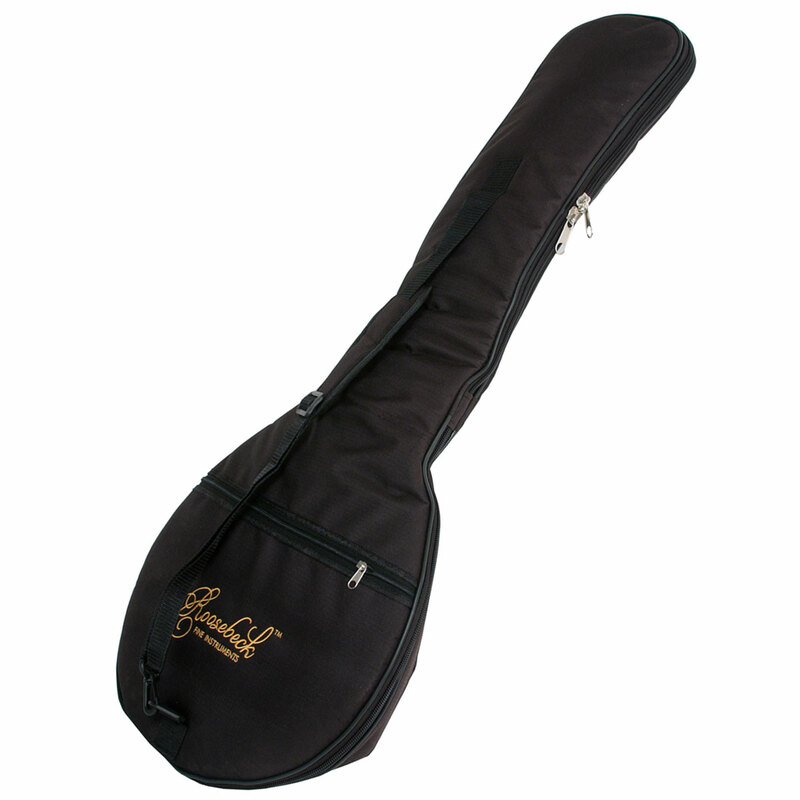 Roosebeck Black Canvas Padded Gig Bag for Greek Bouzouki with adjustable shoulder strap and a padded hand grip. A double ended zipper that allows the case to open fully for easy access. A 14" wide pocket on front. Outside dimensions 40.5" length, 7" height, 15.5" width. Item overall inside 39.5"X6"X14". Inside material is cloth. Body/bowl 15.5"X6"X14". Neck length 24"X2"X6.5".